I am still wishing for summer so here's an image from this past summer that I thought only had 3 different insects in it but actually has 4! 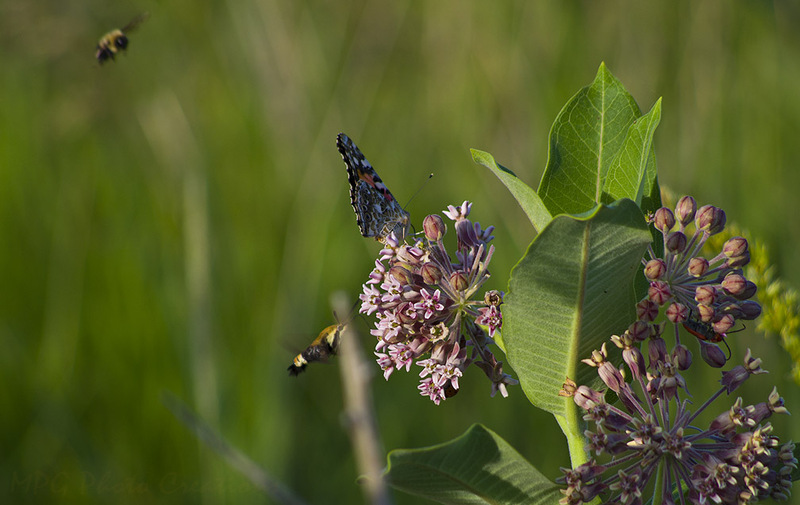 When I was taking the shot I only was doing it for the Painted Lady butterfly and the Hummingbird Moth but then as I was processing it I saw the bee flying into the shot. There is also a red beetle though that I totally missed until someone pointed it out today. Remember you can always enlarge to see details better by clicking on the image.